يشكل فندق Melbourne Metro YHA بموقعه الممتاز في قلب شمال ملبورن نقطة انطلاق ممتازة لاستكشاف ملبورن. يمكن من هنا للضيوف الاستمتاع بسهولة الوصول إلى كل ما تقدمه هذه المدينة النابضة بالحياة. يوفر الفندق بفضل موقعة الجيد وصولاً سهلاً إلى أهم معالم المدينة.
. يعمل Melbourne Metro YHA على ضمان إقامة مريحة لضيوفه من خلال خدماته الممتازة وحسن ضيافته. تتضمن الميزات الرئيسية في هذا الفندق: مكتب الاستقبال على مدار الساعة, مرافق مخصصة لذوي الاحتياجات الخاصة, تخزين الأمتعة, واي فاي في المناطق العامة, صف السيارات. في Melbourne Metro YHA غرف نوم يزيد عددها عن 360 صممت بذوق وعناية لتوفر لك كل وسائل الراحة . بعضها يحتوي أضاً على اتصال لاسلكي بالإنترنت, غرف لغير المدخنين, تدفئة, مكتب, اتصال لاسلكي بشبكة الإنترنت (تطبق الرسوم). كما أن مجموعة الخدمات الواسعة الموجودة في الفندق لضمان راحتك تترك لك الكثير من الخيارات لقضاء وقتك أثناء فترة إقامتك. إن Melbourne Metro YHA هو مكان مثالي للمسافرين الذين يتطلعون إلى الراحة والاستجمام في ملبورن. يشترط العقار في حالة حجز غرفة عائلية أنه لا بد أن يكون ثمة طفل واحد دون 18 عامًا على الأقل إلى جانب من فرد إلى فردين بالغين. أما بخلاف ذلك، فسيتم تعديل أسعار الغرف طبقًا لذلك. لمزيد من الاستفسارات، يُرجى الاتصال بالعقار مباشرةً باستخدام بيانات الاتصال الموضحة في تأكيد الحجز. It is a really nice hostel with good facilities that offer a great kitchen and an amazing rooftop where you can enjoy a drink or two with friends. The people here are also nice and it was no problem when we wanted to extend our stay. Not a long walk down to the main areas in the city either. Would definitely recommend it and come back in the future! I spent 1week in 3 different hostels but this one i loved the most. Though its far from major tourist spots in the city center, it is still near the free tram zone. I loved how the staff accomodated my requests. They also have coin operated luggage box if you want to leave your stuffs but im not sure how long its allowed as i have used it just for a day. I booked quadruplet room and 4 of us stay there. Everything is great, location is about 20 mins walk to main shops..big kitchen. just the only thing funny for me is the bathroom design,, a bit small and I need to squeez in but manageable..above all is I have a great stay.. I was not given a proper image of the apartment that I booked, was a bit worried about it. 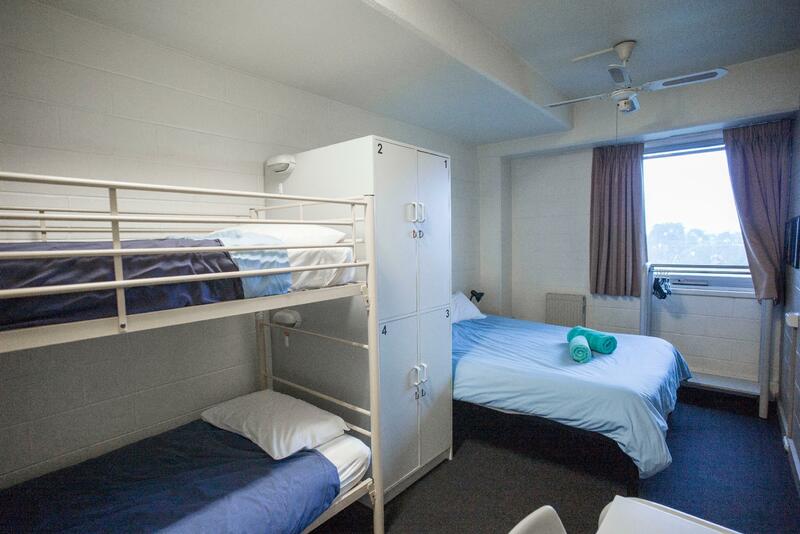 I booked an apartment for 5 paxs it was spacious, clean and equipped with kitchen utensils. My cousin decided to join us at last minute and I thought since its 5 pax accomodation having extra 1 person will not be a problem. But when I told Kyla that we have extra 1 person and can they allow her to stay she said "no" and asked us to make another booking for my cousin. We agreed, only mix dorm was available at that time and for 4 nights alone (Tues, Wed, Friday & Sat) Thursday was fully booked and Kyla asked us to put my cousin somewhere else. We asked whether she can allow her to stay with us for Thursday alone Kyla refused. We had to find an accomodation in CBD for my cousin alone for 3 nights. i got really cheap deal with it so decided to give it a go. little bit far from cbd but great coffe shop nearby and just short walk from free tram zone. nice staffs and because there's one empty room they let me checked in early. stayed for 2 nights and no noise at night. overall great hostel. it's perfect and within walking distance to tram or even to the CBD/queen Victoria market. located in a quiete place and have Parking space just in front. Staffs are helpful and kitchen facilities are perfect for long stay. Clean which you feel comfortable. Quiet which you can sleep well. free tram til Queen Victoria Market and just walk maybe half a km to reach hotel. The stay definitely is good. Locker is provided for each backpacker but it wont fit your luggage but backpack. Bring your own padlock to lock the lockers. The hotel is very clean, the bed, room, toilets ans etc. It is quiet as it is away from city centre but reachable by free tram at Elizabeth St and short walking. I enjoy my stay in this hotel. Nothing much to say, just check in here for early arrival 2 days in advanced. Room is quite clean but the bed with bugs which all of us get bitten during the stay period. Is a walking distance to Free Tram Zone and Queen Victoria Market (about 10 - 15 minutes). The room is separated from public area so it is quite and kitchen was very well cleaned . ( maybe a bit more effort to the fridge) Internet was great and the room is cleaned up daily . The staff will bring up issues with the room reasonably and kindly . Awesome room top lounge . Perfect location whitch is 6mins away from Queen Victoria’s Market . We are loved here. All things are so good & clean. Great hostel, big with a lot of possibilities to get to know New people in the lounge. Good kitchen and breakfast cafe. Calm and safe for teenage kids. Only minus very hot in the room when hot weather! 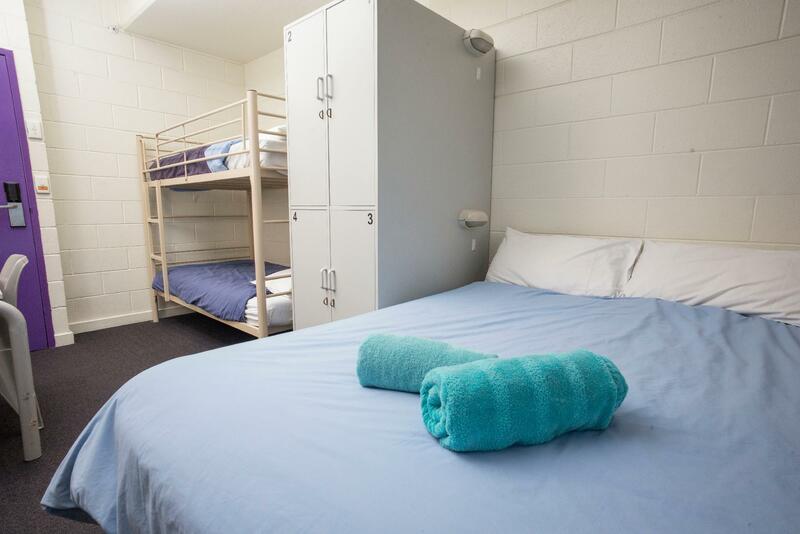 This is a clean,comfortable hostel.Close to the Queen Victoria market but think twice before book it because the location is a little bit far from any train station.There are only few sockets in my room.